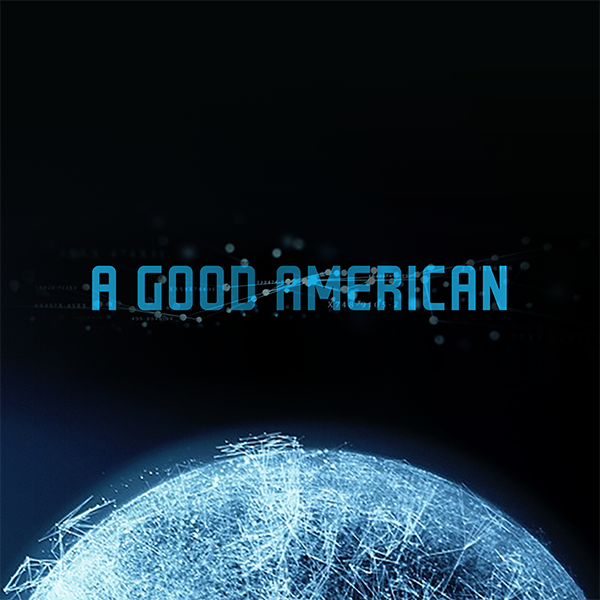 In my view, one could not find a better title for Friedrich Moser’s film about former National Security Agency technical expert William Binney than the one decided upon, A Good American. His life illustrates the cost some people pay when a person’s morality and professional ethics clash with a governmental bureaucracy that values neither. Friedrich Moser’s film captures the man and his dilemma on a personal level, in historical terms, and in a memorable aesthetic form. William Binney was born in Pennsylvania in September 1943. 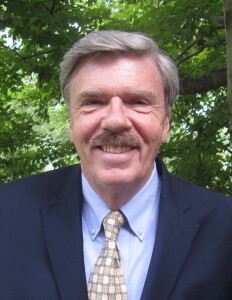 He attended Penn State University and graduated with a degree in mathematics. During the Vietnam War, Binney joined the Army so he could have some control over where he was stationed abroad. As the film shows, during his testing and his service, it was demonstrated he had a high aptitude in mathematical analysis and code breaking. So, he was stationed in Turkey for communications interception. From that nearby location, he was tasked with spying on the Soviet Union. To say that Binney was good at what he did does not do his performance justice. In December 1967, given signals intercepted in Vietnam by an officer friend of his, Binney predicted the Tet offensive. Because of that forewarning, Binney’s friend was able to hold his position with almost no casualties. In 1968, based on intelligence gathering, he predicted two days in advance that the Soviets would invade Czechoslovakia. What Binney was so good at was, in those days, called traffic analysis. That is, from the data he was given — no matter how skimpy, no matter how foreign — once it was translated, he was able to break down signal codes, and he then would use that information to map out a whole chain of command and control. As his friend and eventual National Security Agency colleague Ed Loomis states, Binney was so good at this that he could eventually map out who was talking to whom and which way the communication was going. That is either up the hierarchy or down the hierarchy. All this from the raw data of intercepts. Off this performance, the Army decided to transfer Binney to the National Security Agency. While there, Binney continued his uncanny and unique work in deciphering war preparation through signals intelligence. He predicted the Yon Kippur War in 1973. As he states on camera, he accomplished this through bypassing the very long list of warning signals the NSA gave him. He made a much shorter list of only five indicators that he used at his own desk. And it was this list that Binney used again six years later to predict the Soviet invasion of Afghanistan. He predicted both the time and the day. As he notes on camera, he was off by one hour. Binney was so gifted in the creation and perfection of mathematical algorithms that when he got a 64K ram desktop computer in 1983, he was soon outperforming the gigantic mainframes, which took up the entire floor of an office building. During this introductory segment of the film, Binney says something that is crucial to understanding him, this film, and the moral quandary that constitutes the misuse of intelligence for political ends. Binney states that he got into signals intelligence because he did not think that America should go to war due to bad information. Therefore, he saw his function as informing leadership properly so they did not make mistakes. 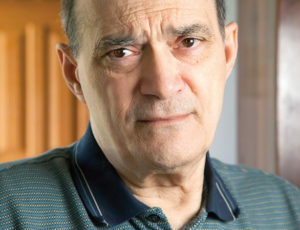 When one thinks of some of the wars that the U.S. entered under false intelligence — from the Spanish-American War through the Vietnam War and most recently the war with Iraq — one has to appreciate how important Binney’s approach to his job was and how the contrary approach of politicized intelligence – i.e., analysis designed to please political interests – has led to disastrous results. From this point, the film introduces the Age of Terror, which A Good American starts with the 1993 World Trade Center bombing. Ramzi Yousef, one of the perpetrators, had spent time in an Al Qaeda training camp in Afghanistan. 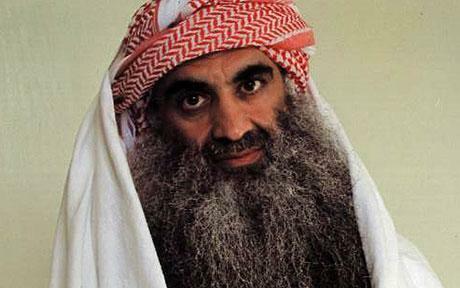 And the plot was advanced via telephone and through wire transfers from Khaled Sheikh Mohammed, who was suspected later of playing a large part in the 9/11 attacks. The idea was to use a 1330-pound truck bomb to blast the basement supports of the North Tower and crash it into the South Tower. The plan did not come off as intended. But still, six people were killed and about a thousand were injured. Khalid Sheikh Mohammed, the accused mastermind of the 9/11 attacks, in a photo taken in July 2009. Some in the intelligence community thought the 1993 bombing was an isolated incident. But others, including Binney’s colleague at NSA, Tom Drake, thought it was really the start of a dangerous worldwide movement. But that warning went pretty much unheeded. But Binney took it seriously; especially the phone calls and wire transfers involved. And that caused him to begin to think of constructing a worldwide surveillance program that would root out a terrorist threat before it could strike. Binney boldly stated that they had to build something like a giant electronic grid, one that would somehow be able to capture, decipher and segregate the routing messages of 2.5 billion phones throughout the world. When someone objected to the idea as being beyond the reach of any kind of cyber capability, Binney replied that if modern physics could map out a sub-atomic world that no one had seen or imagined, then the NSA could do the same in the atmosphere above us. That decision gave birth to first SARC, or Signals Intelligence Automation Research Center, and then to Thin Thread. SARC was a group of very select technicians and analysts within the NSA. In 1997, Binney chose them from the thousands of people he supervised. He picked them based on their creative aptitudes and their ability to think outside the box and not be limited or intimidated by the bureaucracy. Two of Binney’s cohorts in SARC are featured in the film: computer scientist Ed Loomis and senior analyst Kirk Wiebe. In many ways, Thin Thread was Binney’s magnum opus, the crowning capstone to a brilliant career. It was an all-encompassing surveillance program that worked from what has come to be known as metadata. That term usually refers to what we would call the header, or the routing information on a message. That is, the program was guided by the earmarks of the sender, the receiver(s), the time stamp, and the geographic points of origin and destination. Thin Thread would then correlate the information from financial transactions, travel records, web searches, and email messages in order to chart relationships among people in real time, as events were happening. As Binney says, it was all about finding patterns among people and charting out relationships. Binney had designed the program with internal safeguards in order to avoid legal and constitutional violations. The main objectives in this regard were to avoid stealing the actual contents of a message, and to also avoid as much as possible the danger of spying on Americans. The latter was accomplished by only being able to focus the program on persons who were already targeted as domestic suspects. From there, if probable cause was established, the program was designed to take the case to the Foreign Intelligence Surveillance Court to obtain a FISA warrant. Fellow employees in the NSA who saw the prototype said the precision of the final correlations of information resembled a fingerprint a lawyer could take to a FISA Court. From everyone in SARC, the Thin Thread program received fulsome praise as a problem solver for the NSA. Yet there were some in the NSA who wanted to work with more information, not less. To Binney, this desire was problematic on three levels. First, it created storage problems for the immense amount of data collection. Second, there was the problem of time consumption: the more data collected (or “data mining”), the longer it took to analyze the information. Third, there was the constitutional problem from the invasion of privacy of American citizens. Binney felt that this more invasive approach would lead to a breakdown in the legal system that would resemble the intrusions of a fascist state. The indiscriminate vacuuming up of data would fulfill the Orwellian idea of National Security Advisor John Poindexter’s Total Information Awareness (TIA). As the film depicts, Thin Thread fell victim to the ambitions of NSA Director Michael Hayden, who had been an Air Force General prior to heading the NSA. Thus, he understood how hierarchies work, and how power operates in a bureaucracy as large as the Pentagon, i.e., the value of expensive programs over cheaper ones. When Thin Thread was ready to activate, Binney talked to a project acquisitions officer about purchasing the system for the NSA to use. According to Binney, the problem was that the price tag was too low. After the initial briefing, the officer came back and said words to the effect: Could you expand it to a budget of $300 million? In short order Binney discovered the problem was that Hayden wanted a colossal program that he could tag with a correspondingly colossal price. This would expand the size and scope of the NSA to make it rival the CIA, which had always been the biggest kid on the block as far as the intelligence community went. Therefore, over time, Thin Thread lost out to a much more expensive, but much less efficient and workable program called Trail Blazer, which was budgeted at over $1 billion and which eventually cost well over that sum. As the film shows, the congressional liaison for the NSA, Diane Roark, told the agency that the project was both overdesigned and overly complicated. To her, it looked like a boondoggle in the making. After Roark voiced her reservations, and interviewed some NSA employees from SARC, Hayden circulated a memo in which he voiced his disagreement with those who were countering his decision. He said these actions were hurting the NSA and he would not tolerate the dissent, a thinly veiled hint at retaliation. Hayden decided to outsource Trail Blazer, rather than develop the program in-house. Hayden used a private company called Science Applications International Corporation (SAIC), which employs many former NSA managers. Hayden also brought back to the NSA an SAIC executive named Bill Black who was appointed Deputy Director to develop Trial Blazer. Hayden then dispatched his third-in-command, Maureen Baginski, to deliver the news that Thin Thread was being abandoned. As Binney recalls, her memorable words were: If we abandon Trial Blazer, I make 500 people unhappy; if we abandon Thin Thread, I make 6 people unhappy. But happiness management was not Binney’s idea of what the NSA was about. The clincher to that meeting was that the 9/11 attacks occurred three weeks later. Evidently fearful of further attacks, Hayden closed down the NSA offices on 9/11 and the day after. 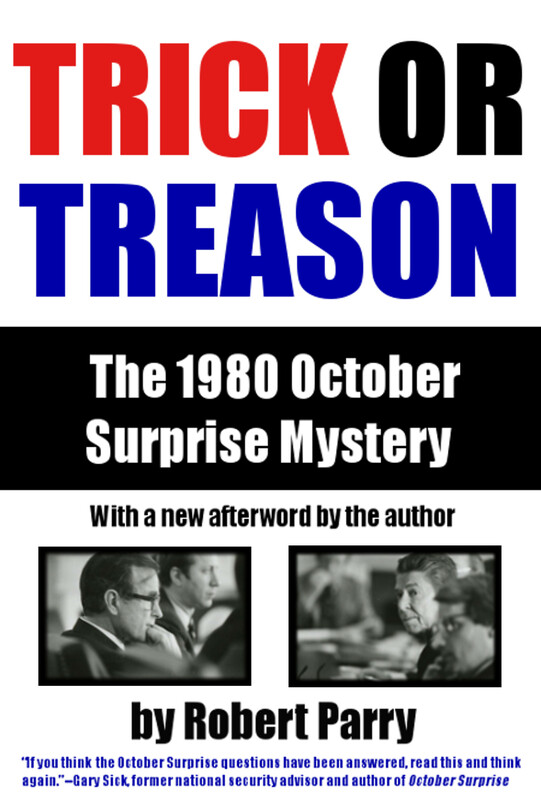 To get inside, Binney disguised himself as a custodian and was astonished by the attitudes of people like Baginski who looked at the 9/11 attacks as something like a gift because now the NSA budget and its powers would be expanded beyond their wildest dreams. About two months later, both Binney and Wiebe decided to resign from the NSA. It turned out that Roark and SARC were correct. Trail Blazer ended up being a costly failure. It was finally abandoned in 2006. But in 2002, members of SARC filed a complaint with the Department of Defense about the waste and abuse involved in the decision to start Trail Blazer when Thin Thread was already operating in prototype. That complaint was accepted and the inquiry by the Inspector General went on for years. When the report was finally issued in mid-2005, the large majority of the text was redacted. The film shows us these blank pages as Binney leafs through the report. Tom Drake stayed on at NSA. He knew about Thin Thread and realized the prototype was still there. He decided to run the program through the data that had been collected prior to 9/11. Drake discovered that Binney’s program worked as he said it would. It picked up all the important movements and dispersal patterns. It even showed that the plot was more expansive than revealed: part of it had failed since some other planes had not been hijacked. Drake concluded that the information was there for the NSA to interpret but without Thin Thread they could not do so. When Wiebe and Binney left the NSA they created their own private company called Entity Mapping LLC, which began selling Thin Thread to other intelligence agencies like the National Reconnaissance Office (NRO), and Customs and Border Patrol. The NSA stepped in and negated these deals. The film implies that Hayden did not want the NSA to be further embarrassed by a program he had rejected for all the wrong reasons. It was at this point that SARC decided to file the complaint with the Department of Defense. Drake said he would support the action from the inside since he was still at NSA. Although the Inspector General report was largely redacted, enough of it was readable so it was clear that Trail Blazer was the most expensive failure in the history of the NSA. One might think that this story could not get any worse. But it does. After the New York Times and Baltimore Sun exposed the fact that, as Binney predicted, the NSA would eventually be involved with warrantless eavesdropping and invasions of privacy, the FBI made a series of criminal raids. In July 2007, the FBI raided the homes of Loomis, Wiebe, Roark and Binney, along with a Justice Department lawyer named Thomas Tamm. The Bush administration was upset that the media was exposing their violations of the original FISA law that was enacted after the Church Committee’s exposure of U.S. intelligence abuses. The FBI agents entered Binney’s home with guns drawn while he was in the shower. According to Roark, much of her NSA data on Thin Thread was confiscated by the FBI during the raid. It turned out that it was Tamm who had been talking to the New York Times. Since he was a lawyer in the Justice Department working the FISA cases, he understood that the Bush administration was violating the law as to how NSA was attaining information and how the surveillance agency had targeted domestic citizens who were not contacted by foreign entities. The administration had set up a special branch of the FISA court to deal with those special cases. The FBI cases against Binney, Roark, Loomis, Tamm and Wiebe were eventually dropped for lack of evidence. Drake’s home was raided a few months later because he had talked to the Sun. The prosecuting attorneys tried to get Drake to testify against the others, but he refused to do so. The prosecutors tried to get Roark to turn against Drake, but that did not work either. After Drake appeared on Sixty Minutes, the government dropped all charges except a misdemeanor for misusing an NSA computer system. Drake ended up losing his $155,000-a-year job at NSA, and his pension. He also was fired from his university teaching position. 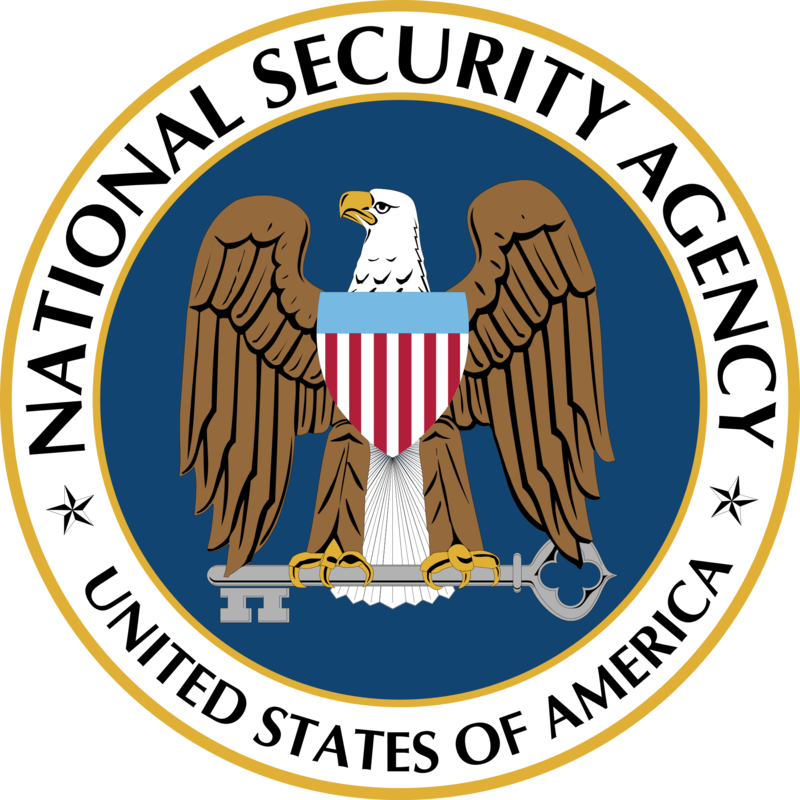 As NSA whistleblower Edward Snowden has stated, the major reason he decided not to go through internal channels when he discovered other abuses within the NSA programs, was because of the prior examples of what had happened to men like Binney and Drake. Thus, in 2013, Snowden fled the country, contacted people in the media and revealed to them the privacy problems with NSA programs like Stellar Wind, and PRISM and Tempora. 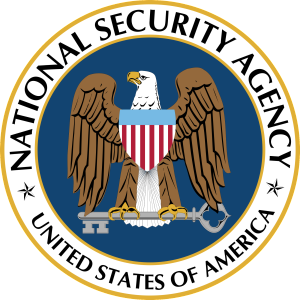 Binney had worked on Stellar Wind, but the NSA had altered it to spy on Americans after he left. Friedrich Moser’s film about Binney is well made in what might be called the post- Errol Morris documentary mode. There is the well-chosen use of dramatic music and the liberal use of reenactments to demonstrate certain stages of Binney’s career. In an age of fine photography, the cinematography in this film is exceptional, even when watching without high definition. In fact, this documentary is more imaginatively directed than many feature films I have seen of late. I would be remiss if I did not note that Moser is from Austria and his film was sponsored by the Austrian Film Institute. I doubt that such a film could be made in the United States today. Recently, the mainstream U.S. media has labeled him a “conspiracy theorist” because he has disputed the conventional wisdom that Russia “hacked” Democratic emails to help elect President Trump; Binney’s experiments revealed that the download speed of one of the key hacks was impossible via an Internet hack and instead matched what was possible from a direct download onto a thumb drive, i.e., a leak from an insider. But that is the fate of people who sacrifice their careers for just causes. They eventually lose their reputations. Moser is to be congratulated for making his aptly titled film, which would be enormously informative to about 99 percent of the public. I would recommend it to anyone. You can see it on Amazon for $4, the story of a good American. Saw this flic on Netflix several weeks ago. It’s an excellent piece, I hope many Americans see it and consider its message, carefully. Perhaps the reason Thin Thread was rejected was because it would have revealed who was really behind 911. Is this the “Good American”? Looks like it. Saw it on Netflix, but it didn’t have the Q&A. That is something I’d like to see, so downloading it. Thanks for posting @Anthony! Thanks for this article and the news about this documentary!!!!! When I saw Mr Eugenio’s name I knew the article would be good. Thanks for all this-I will seek out the film. Hayden is even now spewing his lies-sad. Thanks so much rosemerry, but its DiEugenio. Three cheers once again for William. I can’t say enough good things regarding him. 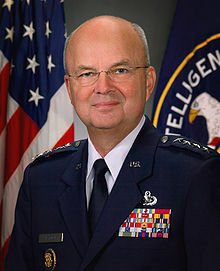 Every time that I see a picture of Michael Hayden and that perpetual smirk on his face I just get angry. A worthless and incompetent individual who helped to sell out this country. Treason, in other words. Proof once more that the system rewards the scum of the Earth and punishes those who refuse to abandon their integrity for power and money. A splendid revelation. This article deserves national distribution, followed by a national dialogue. The NSA routinely violates the 1st and 4th Amendments of the Bill of Rights. Without due process, probable cause, or court authorization for surreptitious search and seizure, NSA agents censor emails from ordinary citizens, which dare document war crimes by America or its allies. The truth is out there in many venues; the problem is how do you get people to look at it, understand it, and act to make it effective. The deep state has a thousand ways to make the truth invisible to the masses who are deluded by their lies. Our hidden Masters have contrived to make the truth very unpopular. And so the truth exacts serious costs from those who choose to seek it, and a willingness to often walk alone……. Makes me reflect that Seth Rich chose the wrong venue to walk alone, and was gunned down just as so many have been who tried to make public what the powerful wished hidden. Just so, the time may come when the voices here on CN will be silenced, one way or another……. I would be curious to know Mr. Binney’s take on the events of 9/11 given the information that thin-thread exposed. I wonder how much Tom Drake uncovered when he used it. Being the “tinfoil hat” guy that I am, I wonder if TPTB stopped thin thread for the very reason that it would have exposed the plot, and kept us from having our “New Pearl Harbor”. 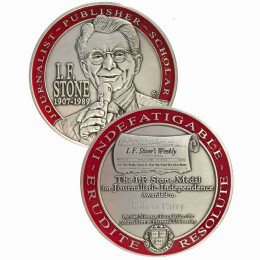 Many thanks for another great article about a real American Hero. And indeed how could the CIA have been so involved in planning 9/11, and kept that from Mr. Binney’s prying eyes. I would also like to hear his comments on the conspiracy theories around 9/11. Not saying whether those theories are correct or not, but more information is always helpful. Outstanding read by James DiEugenio. Binney and his VIP pals, including supporters like Robert Parry, provide over and again a service to America unlike any of those they once served under or reported on. Mr. Binney has more integrity in a hair follicle than the whole lot of forgettable hacks, wannabes and climbers who dwell in the creepy shadows of the MIC. A huge thank you to Mr. Moser and the Austrian Film Institute for producing and underwriting the expenses for A Good American. I can’t wait to watch it. For anyone with Netflix this is highly recommended viewing. Then ask yourselves where the higher up, or high high up this order came down from. My hat is off to James DiEugenio for clearing the air over the quality of William Binney. Mr DiEugenio‘s article is a ever welcome read especially after how the MSM treated William Binney in the news, with their labeling Binney a conspiracy theorist. So, thank you Mr DiEugenio, for such a detailed resume of William Binney’s career. The remarkable comparison study of Hayden and Binney, speaks to all that is wrong in our U.S. Government. Integrity is replaced by career opportunist at every level, and with this criteria of ego as a model for how to go up the chain of command, is what most hurts our American society. That the NSA was unable to restrain itself to constitutional purposes and limits is not surprising for an agency, but that Congress would not do so is symptomatic of the corruption by economic power of Congress, as well as the Judiciary, Executive agencies and mass media. The story shows that a democracy cannot be maintained without severe regulation of economic power to protect the institutions of democracy. Nor can it be restored by any process not hundreds of times as costly in blood and treasure. It is the Binneys and Drakes and Snowdens et al who deserve our respect, not the tinpot demagogues posing with the flag, inventing foreign enemies, and denouncing their moral superiors as disloyal. This is what the military industrial congressional complex looks like. “the victory of money” says a lot about congressional oversight with Pentagon and “intelligence” bureau spending. Yes, Binney and his loyal colleagues are outstanding Americans.The way they held together and refused to testify against each other illustrates the integrity of their character. The MSM exalts many pseudo heroes….but these people are genuine “true grit”. Readers of this website are familiar with Mr. Binney from the bombshell July 24, 2017 memo to President Trump from the Veteran Intelligence Professionals for Sanity (V .I.P.S) which laid out the case, in detail, that the DNC computers must have been leaked not hacked.. Since that time the ViPS argument has received major coverage in “The Natoon,” causing freakouts from the WaPo and DNC allied media..In addition, Mr. Binney, along with fellow V.I.P.S. member Ray McGivern, has continued a high-profile public campaign to expose the hacking fraud, in conferences and webinars organized by the Larouchepac and in a showing of this movie in NYC sponsored by 911 truth. Significantly, current CIA head Pompeo was recently personally briefed by Mr.Binney at the request of President Trump. Taken together with the recent revelations regarding the genesis of the “dodgy dossier” produced for Fusion GPS by “former” MI6 agent Christopher Steele, “Russiagate” is in free fall, in tandem with Robert Mueller’s reputation as a fair and impartial investigator. Binney’s program was rejected because it worked well, had limited objectives, and was inexpensive. How can a nation thrive when the criteria for program success is that the program be as expensive as possible and have unlimited (and therefore unlikely to succeed, and only theoretical) capabilities? How can a democracy dedicated to the law and freedom maintain its mystique as something to be admired, when its government can be seen to seek total information and total control? This story is a perfect metaphor for the wider failure of the United States more generally. The bureaucratic technocrat Michael Hayden stands out as the villain of this piece. Some day history text books will note that men like him paved the way for the United States’ sudden and ignominious collapse. Meanwhile, men like Binney will be revered. I believe you nailed it. There was one more factor…. PROFIT. That information is on private servers, and is available for discreet and highly profitable sale to …. everybody with truckloads of money. Heck, they could keep clean hands and still make tons of money by simply selling “hints”. Like – look at such-and-such relationship, or at so-and-so newspaper article/police record in a far-away place. Such information exchanges would be almost undetectable – some of it could be sent on a picture postcard. It is interesting that the 6-person Thin Thread program was not simply continued as a supplement and backup for the larger Trail Blazer program. It seems likely that the desire to feed the money to the SAIC contractor and its NSA insiders was corrupt, and that decision makers wanted to eliminate competition. Had Thin Thread been expanded as desired it might have been given to SAIC. The answer to your questions: $$$$$$$$$$. i seen the film. A real eye opener, and well done. Some info at link below.